Off-Topic Discussion Discuss all other non automotive topics here. Chevy Impala Forums > General Discussion > Off-Topic Discussion > radiator repair? 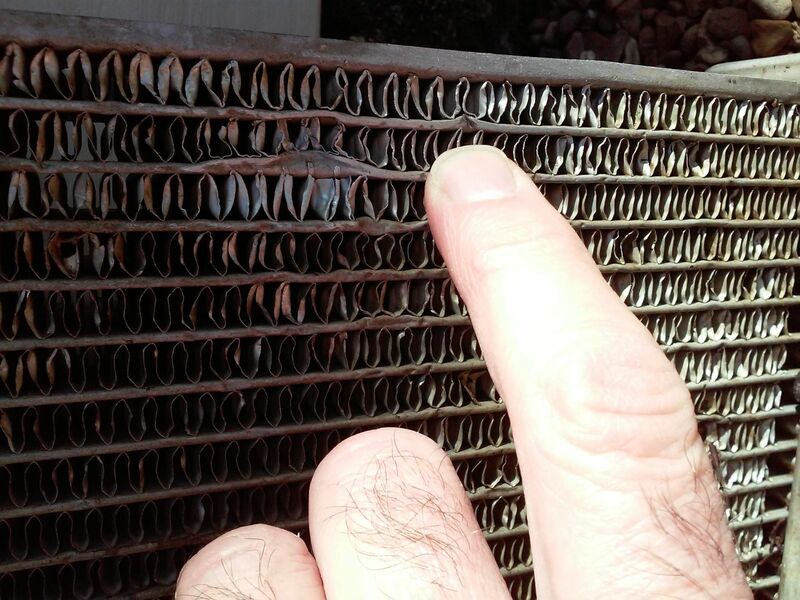 Has anyone here had any experience with cold weld repairs on radiators? I can braze, and I can solder just fine, but this aluminum is pretty thin and really thinking I don't want to risk making matters worse if a cold weld product would work. Weekend before last had my wife with her small hands dig all the hickory nuts out of the radiator shroud on my small kubota tractor. Freaking squirrels are out of control, don't think we missed any, likely the squirrels packed more in as I found more shells around the belt on the mower deck too. I looked in the shroud before starting and did not see any nuts. Got out to mow over this past weekend and as I started it up hear a ting, a hickory nut in the shroud I missed must have hit the radiator. Just enough that is caused a small leak. So my question is, will the jb weld type radiator specific repair products work ok for a small hole, and will they hold up? Is there one of those products that is better than another? I can't help much on this. I know JB-Weld is an epoxy, and that epoxies will stick to plastics, but they don't truly bond. It will probably mate better with aluminum. But even then, I'd be afraid that eventually, it will come loose and start leaking. That said, it's worth a try. Thanks Doug. The aluminum on this thing is pretty thin. I might try soldering it if I don't find anything in a cold weld that I think will work. 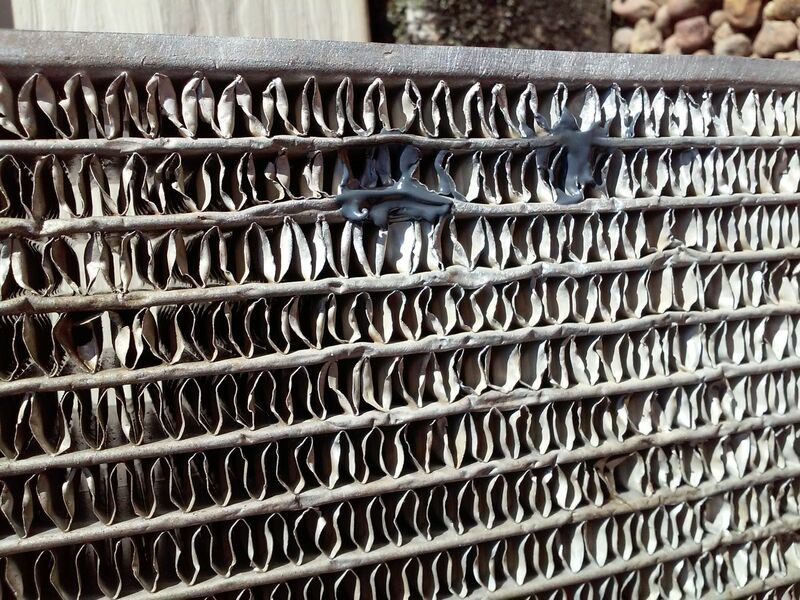 Hard to find anyone anymore that will work on a radiator due to lead concerns and cancer. My concerns with the jb weld epoxies were how pliable they would end up and how well they would bond. Normal jb weld can become somewhat brittle. I know there are some products on the market that are supposed to be specific to tank and radiator repair with better bonding abilities than normal epoxies, hoped someone here might have had some experience with one of them. New radiator is $310, not going that route unless I absolutely have to. Not too bad to take it off, so trying one of the cold weld type products first, if it does not work would not be a huge deal. Will see what I can find tomorrow while I am in town. Thanks Doug. The aluminum on this thing is pretty thin. I might try soldering it if I don't find anything in a cold weld that I think will work. I want to say I saw a product years ago that could be soldered to aluminum, but it's been too long to recall any details. I have plenty of assorted welding and brazing rod, but dont have any solder sticks. Was thinking a silver solder if I use heat. Nearest welding supply store is about 45 minutes away, but have a tractor supply store and a lowes I will drive right by today, will see what they have. More than likely going to try a cold weld product first. Aluminum magnesium rod was available at tsc, at $15.99 for 7 sticks I probably should have picked some up to keep with my welding supplies and might still. I had already bought jb weld steel reinforced epoxy thinking it might work ok. Looked at the jb putty stuff at walmart, and the weaker psi strength and lower temp threshold had me not so sure it would be a wise choice. I had some rolled silver solder in a drawer in my garage I had overlooked, so after cleaning the radiator up I tried that first with propane torch rather than using my mapp torch. Flowed nicely and looked great, that was until I made sure it was going to hold at which point the bond was just too weak and the solder broke loose. Think the aluminum rod would have worked out nicely and in the future in the event there is a need will likely go that route first. So cleaned everything up again and mixed up the jb weld and worked it on the known leak as well as a few other spots that looked sketchy. After about 6 hours tested it and under light pressure no leaks. Will put it back on the tractor tomorrow and fingers crossed it holds. plano-doug and sheila like this.